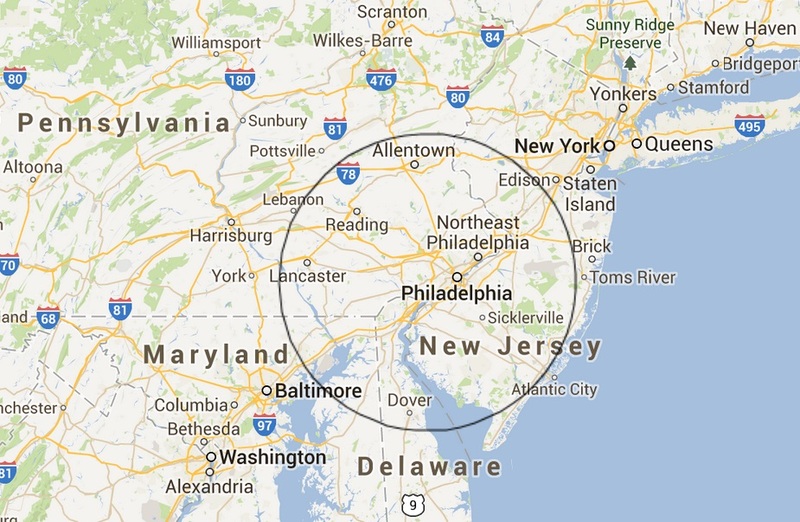 My office is in Media, PA, and my clients typically live in northern Delaware, southeastern Pennsylvania, southern New Jersey and northeastern Maryland. The map shows the general area served by my practice (within a 60 mile radius from my office). However, I am willing to travel as far as two hours away for school observations if families are willing and able to make the drive to see me.